Aorus is a relative newcomer to the PC hardware and peripheral scene, though in brand only. Its parent company, Gigabyte, created the Aorus name in 2014 and tasked it with focusing on gaming hardware. 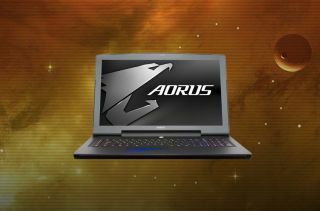 So far that effort has been mostly limited to laptops, keyboards, and mice, though word on the web is that Aorus will start pumping out motherboards and graphics cards in 2017. According to Digitimes, Gigabyte wants to bolster its gaming brand to make it more competitive with the likes of Asus and its Republic of Gamers division, as well as MSI and its Gaming series. It all boils down to a bit of a branding war between the few remaining established players in the motherboard market. Enthusiast brands like BFG and DFI are either no longer around or no longer active in the DIY market, and the same goes for smaller competitors like Soltek that used to put out some decent products. Asus and Gigabyte are now the top enthusiast brands in the motherboard market. Both also compete in the graphics card sector, which is a still a little more crowded. Asus leans on its ROG and ROG Strix brands to separate its high-end gaming products from the rest of its lineup, and it looks as though Gigabyte has decided to respond by expanding its Aorus brand. You'll see this first with Aorus branded motherboards based on Intel's new 200-series chipsets in January of next year, followed by graphics cards when AMD and Nvidia release new high-end GPUs. As for MSI, Digitimes said it's been having strong sales so far in 2016 and expects the company to ship more than 1.2 million gaming laptops by the end of the year. That would account for a quarter of all gaming notebooks. On top of that, it says MSI will likely reach five million graphic card shipments in 2016 as a result of strong market recognition for its Gaming series.